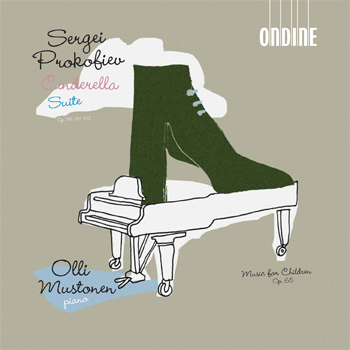 Olli Mustonen performs piano music by Sergei Prokofiev, which is written for or particularly appealing to children. The three Cinderella Suites contain Prokofiev's own piano arrangements of numbers from his fairy-tale ballet Cinderella, Op. 87, and Music for Children is a poetic suite that follows the experiences of a young person in the course of one summer's day.